We’re excited to announce that we’re opening new studios in London, Oslo, Bergen, and Stavanger. With 50 talented new designers and developers across these locations—and with our recently opened studio in Berlin—we’re bringing our expertise in human centered digital design, customer experience, and service design to Europe in a big way. Heading these studios are proven design leaders: Thordur Arnason in Oslo, Oli Shaw in London, and Norman Friedenberger in Berlin. We look forward to connecting with the amazing talent in these locations as we continue to grow and help businesses around the world to build lasting value through experience design. London, Oslo, Bergen, and Stavanger are the newest additions to Idean’s studios in Berlin, Helsinki, Palo Alto, San Francisco, Los Angeles, Austin, and New York City. For the last 20 years, Thordur has been instrumental in building and growing several successful companies, focusing on strategic leadership, recruitment, mergers and acquisitions, creating new business opportunities, and delivering great projects to clients. Thordur combines a formal background in technology and economics with extensive executive experience and a passion for design thinking and innovation–including previous post at Itera–to create as much value as possible for clients and their customers. A transdisciplinary creative director with over 19 years of experience in branding, design, strategy, communications, and service design. 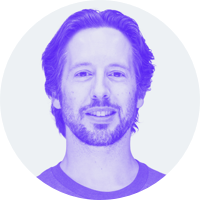 Oli spends much of his time understanding how to evolve organizations into better versions of themselves through hands-on strategic design—creating new, improved, and more meaningful experiences for businesses, customers, and employees. 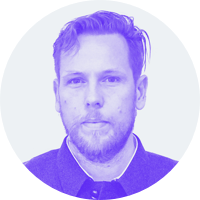 He has previously served as Global Service Design Director at Designit and as Regional Group Design Director at Fjord. A digital executive with 20+ years of industry expertise, Norman has worked for some of the biggest global brands, consumer electronic giants, corporate research labs, and creative agencies in the world. He headed international startups for Sony Europe / DADC and RealNetworks, leading cross-functional teams dedicated to creating state of the art digital products and services, while managing functional areas including business development, technology, strategic partnerships, and general management.